Manufacturers of custom mortars, Bouncing Betty grenades, and Confederate mine also manufacture T-shirt cannons and male deer attractant also sell Nelson paintballs from warehouse in Little Suamico, Wisconsin. SiteBook Little Suamico City Portrait of Little Suamico in Wisconsin. 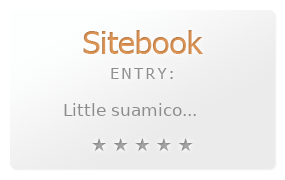 This Topic site Little Suamico got a rating of 4 SiteBook.org Points according to the views of this profile site.